Also see First Year of Stuttering by Ehud Yairi, Ph.D. This column is in response to an article published in Pediatrics titled Natural History of Stuttering to 4 Years of Age reporting a study conducted in Australia by Reilly, Onslow, Packman, et al. (2013). I would like to offer a distinctly different argument for why our Australian colleagues’ conclusions are not well-supported by their data. The problem with this conclusion is found in their own article. For unknown reasons, the sample of children who stuttered had mothers with significantly higher levels of education than that of mothers of the non-stuttering control children sample. Because of the triaging of education levels, rather than simple averages, it is difficult to recalculate their math, but their own data show that more than 53% of the children who stuttered (CWS) had mothers with a college or postgraduate degree, whereas only slightly more than 36.5% of unaffected children had mothers as highly educated. Why is this very important? Maternal education is a hugely potent predictor of child vocabulary, both on the measure they used (the MCDI, where they found an “advantage” for the CWS of an average vocabulary size of 284 words, contrasted to 261 words for the control children) as well as predicting numerous other child outcome measures. It is difficult to put an actual value on this difference, but we can turn to a critique of the larger ELVS study from which these data derived. (This was an ambitious long-term study of children’s language development in Victoria, Australia, and was published as Reilly et al., (2007). As Law and Roy (2008) note, a larger proportion of less educated, lower social economic status (SES) mothers in the larger language development study (Reilly et al. 2007) may have also resulted in a larger than normal distribution of late talkers in the large study. In the 2007 study, logistic regression identified lower maternal education as a risk factor for lower vocabulary growth and maternal education also predicted CSBS scores (another measure of children’s nonverbal skills) also employed in the Reilly et al. 2013 study of stuttering). It is difficult to compute how many “points” a child gains for each year of maternal education, but a different Australian cohort study (Taylor, Christensen, Lawrence, Mitrou & Zubrick, 2013) found that, children ages 4 to 8 years whose mothers were in the two lower education groups that Reilly et al. identified had PPVT scores (receptive vocabulary) that were 10.3 months lower than scores of children whose mothers had more than high school education. That is almost a full year depression in language development. And that’s the group, basically, that Reilly et al. (2013) are comparing the children in the stuttering group to. Many people understand the saying that “correlation is not causation;” even with fancier statistics, it still holds true in evaluating the study findings. For whatever reason, more highly educated women were disproportionately represented among parents who responded to the calls to report stuttering in their children. However, rather than evaluating known relationships between maternal education and several other variables the investigators used to model risk for stuttering, the data were simply collapsed without post hoc correction. The volume of current data on the strong relationship between maternal education and children’s language far exceeds any reasonable explanation for why stuttering should advantage children’s language development, or even be a neutral factor in children’s development. At a recent NSF-funded grant meeting where we are studying maternal behaviors that influence children’s communication development, a colleague shook her head when viewing the tables from the Australian 2013 article – “Tough luck – they wound up with a biased sample, and didn’t correct for it.” Bad science. Reilly et al. also reported better psychosocial outcomes (PEDS-QL) for the CWS. I am not even going to tackle that finding, because I don’t have time to sift the large amount of data that associate children’s ability to communicate with improvements in their quality of life, both short and long-term. It should be obvious that children with better communication do better psychosocially. However, searching this well-known finding is made more complicated by the numerous reports that “Stuttering is associated with improved language and quality of life” when I try to run the search. However, I will compliment the team on their effective media outreach. Thus, what logic is served by suggesting that stuttering is not harmful to young children? The authors themselves know otherwise, and none of us yet has a crystal ball to predict which children will recover without intervention. That’s using their own words. And data from their own studies to wonder what they were thinking when they analyzed their data. To use suspect statistics to suggest otherwise is troubling, to say the least. 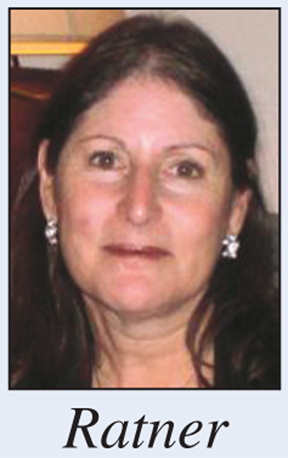 Nan Bernstein Ratner, Ed.D., CCC, F-ASHA, Professor and Chairman of the Department of Hearing and Speech Sciences at the University of Maryland. In addition, she is on faculty at the Neuroscience and Cognitive Science and the Language Integrative Graduate Education and Research Traineeship at the University of Maryland. Jones, M. et al. (2005). Randomised controlled trial of the Lidcombe programme of early stuttering intervention. BMJ, 331, 659-661. Law, J. & Roy, P. (2008). Parental report of infant language skills: a review of the development and application of the Communicative Development Inventories. Child and Adolescent Mental Health, 13, 198-206. Reilly, S. et al. (2007). 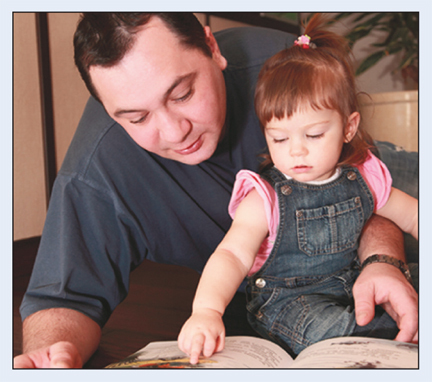 Predicting language at two years of age: prospective community study. Pediatrics, 120, 1441-1449.